PDF documents are portable and easy to keep, but they often consume ample amount of your memory storage. If you have numerous numbers of PDF files saved on your PC for safekeeping or for later use, you may need to reduce the large sized PDF to smaller ones. Then a PDF compression tool is needed. There is a variety of such applications available online, and it may be confusing for you to choose. Here we list some compression tools to help you achieve this. LightPDF is an online PDF platform that provides various PDF tools, including PDF to Word/PPT/Text converter and online PDF editor. Besides, it also allows users to add watermarks to PDF, merge PDF, and split PDF, etc. Being an integration of PDF tools, it also has the feature of compressing PDF files. 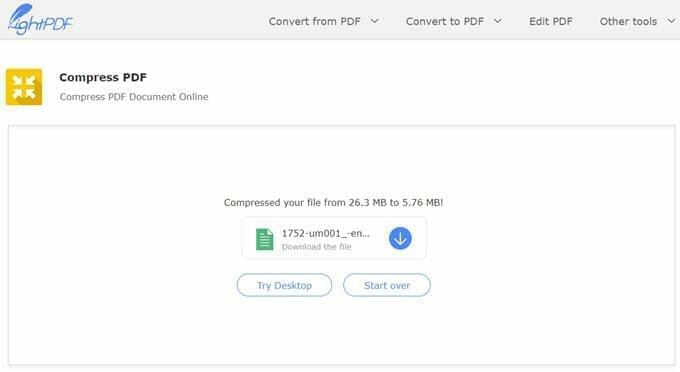 With this PDF compression tool, you can compress your PDF in seconds. Just click the “Choose file” button or drag and drop the PDF file that you want to compress to the file box, and then this tool will load the file and compress it automatically. Once done, click the download button to download the compressed file. Online File Compressor is also a nice utility for shrinking PDF size. In addition to compressing PDF file, it is able to compress videos in MP4, MOV, 3GP, WMV, RMVB, and images in JPG, JPEG, PNG, etc. formats. It can show the compressed file size and compression rate. 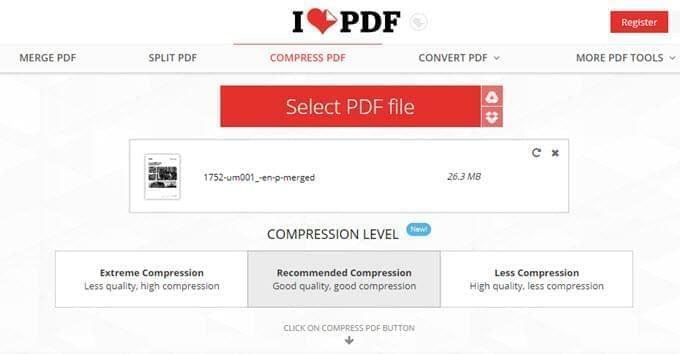 This PDF compression tool is a totally free service and allows you to choose one compression type from the three options: Size, Normal and Quality. In order to compress a PDF file to a smaller size, you can rely on a web-based program called iLovePDF. This program can reduce the size of PDF documents. 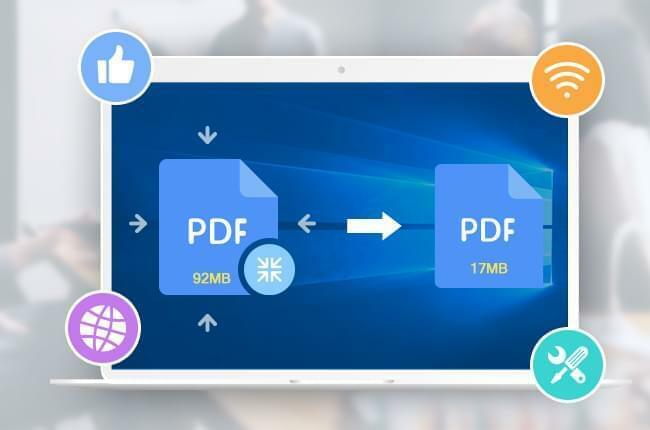 To compress PDF documents with this app, all you need to do is to drag and drop the PDF to the file box or click “Select PDF file” to locate the PDFs and then open it. Once the PDFs are uploaded to the site successfully, you will be given an option to choose the type of compression level from Extreme Compression, Less Compression, or the Recommended Compression. Afterwards, click “Compress PDF” button to initiate the compression. 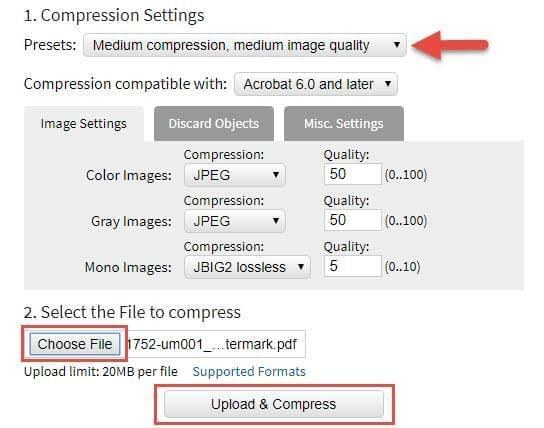 The next one of the best PDF compression tools that you can use is PDF Compressor. By using this program, the PDF compression can be easily done with few clicks. Simply drop the files into the program or click “Upload Files” to load the PDFs that need to be compressed. The documents will be uploaded and compressed immediately. Then you can download the files individually or download them all at once. They will then be saved on your PC in a zipped folder. Another one of the best PDF compressors on our list is PDF2Go. It can handle various PDF files and can compress a large file into a smaller one. Loading a file can also be done by dragging the PDFs directly on the interface, opening it by hitting choose file button, or accessing your files directly from cloud storage. Aside from loading files individually, this tool supports batch compression, which makes it easier to process multiple files. Before starting the compression, you can choose the quality of the PDF by going to “Settings”, and then hit “Save changes” and it will work right away. Once the compression is done, you can download the compressed PDFs in a zipped folder. DocuPub is considered to be the best online PDF compressor. Unlike other PDF compressing applications, it requires necessary configurations before uploading the PDF document that needs to be processed, including the quality of the compressed PDF as well as the image settings. Once done settings, you can start the compression by hitting “Upload and Compress”. A preview of the processed file will then be shown on another browser tab where you can check and save it. 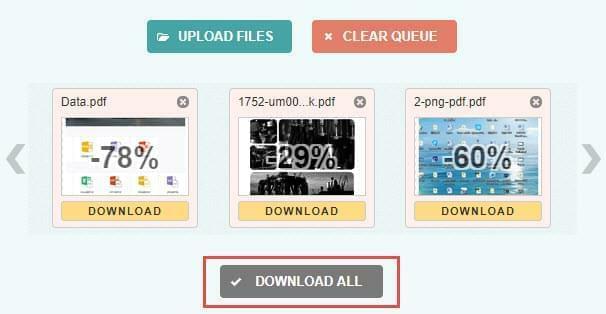 Support to upload a file up to 20MB. Those are the best PDF compression software that you can use anytime when you need to reduce the file size of your PDF document. Each program has distinct functions compared to one another, and all of them are free to use even though some have limitations. You may choose one that meets your needs, and start compression online now.